Did you eat peanut butter and jelly sandwiches as a kid? I wasn’t a huge sandwich eater, so my mom didn’t usually pack sandwiches in my lunch. When she did, it was usually turkey on whole wheat bread. So I really didn’t eat PB&J that much as a kid. I know most kids probably got tired of peanut butter and jelly sandwiches, but I never did because I never really ate them. Which is probably why I appreciate the classic combination more as an adult. I still scoff at the frozen, shrink-wrapped, sugar-laden “sandwiches” my friends ate like candy when I was growing up, but there is something to be said about something so classic as the combination of peanut better and jelly. Deep down, there is a healthy treat waiting to be made out of heart-healthy peanuts and fruit spread. It’s avoiding all of the added sugar and nonsense that usually comes with a classic PB&J that’s the hard part. 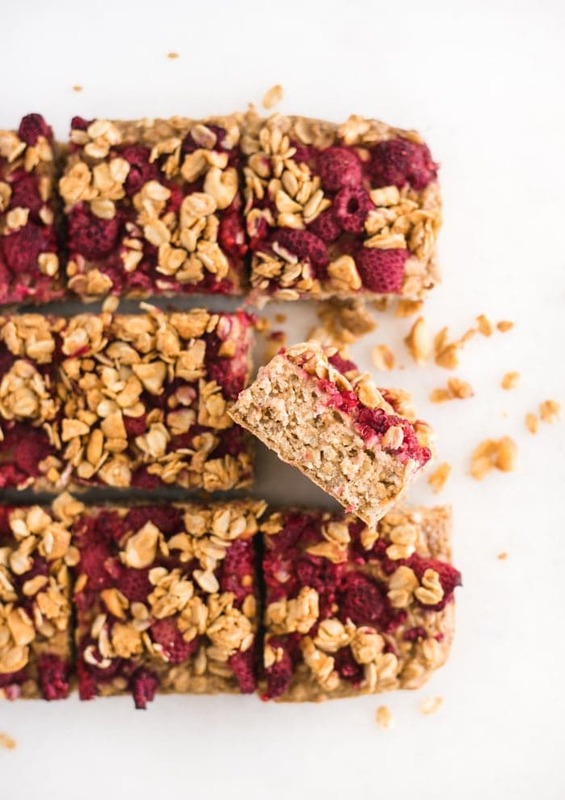 That’s why I love these PB&J baked oatmeal bars. 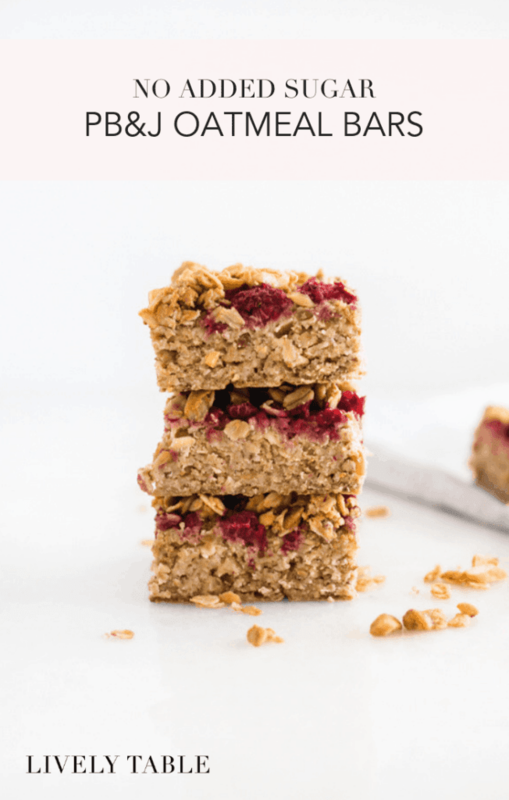 They’re full of peanut butter and jelly flavor, but made with wholesome, heart-healthy ingredients. 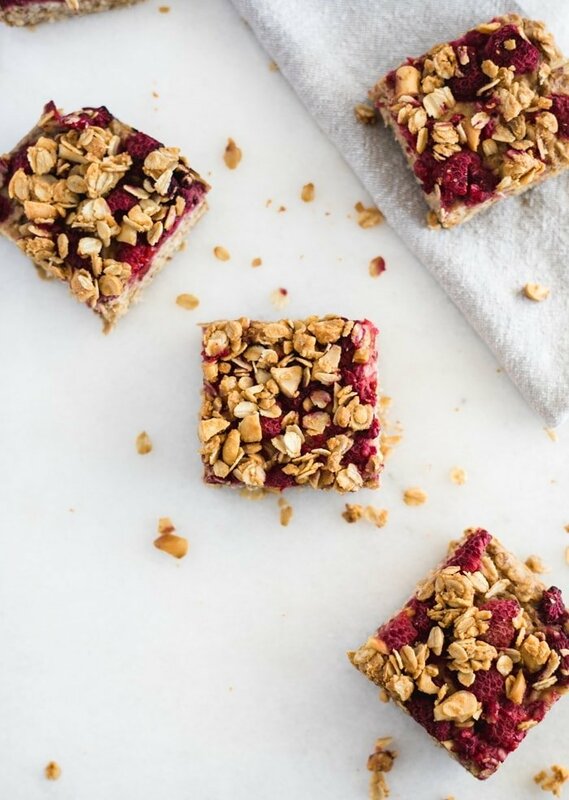 Unlike the white bread, highly processed peanut butter and sugary jelly you likely inhaled as a kids, these bars are made with fiber-packed rolled oats, natural peanut butter, and jammy frozen raspberries for a filling breakfast you can feel good about eating (or giving to your kids). 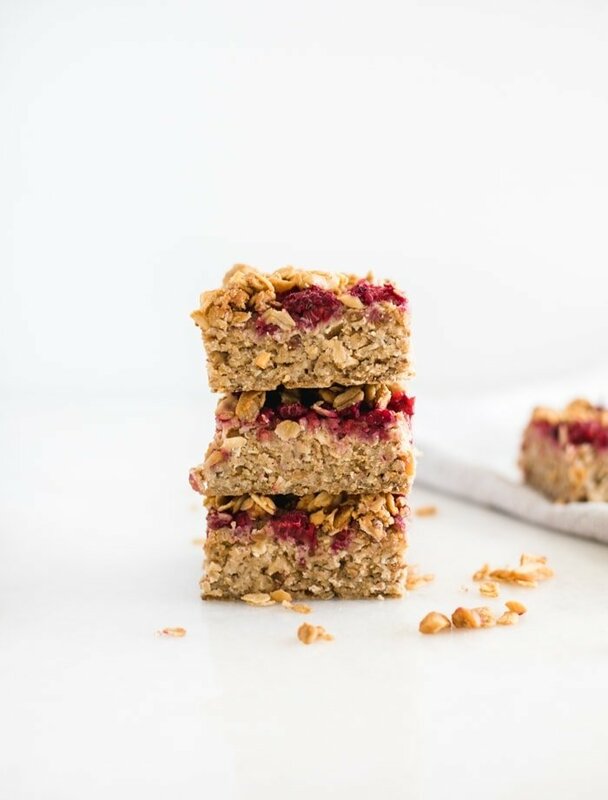 The best part about these bars is that you can prep them ahead of time on Sunday and have them ready to go to power your week ahead! Preheat oven to 350° F. Line a square 8×8″ or 9×9″ baking dish with parchment or lightly grease. In a medium bowl, stir together oats and flax seeds. Stir in eggs, milk, and peanut butter and mix well. Press oat mixture into prepared baking dish. 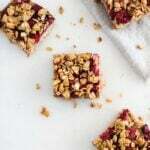 Spread raspberries evenly over the top. In a small bowl, stir together ingredients for the crumble topping. Sprinkle topping over raspberries and gently press down. Bake 25-30 minutes. Cool before cutting into bars. Store bars in an airtight container in the refrigerator. *look for peanut butter made with just peanuts and salt. PB + J used to be my favorite combo ever, I even used to eat it for breakfast on an english muffin! 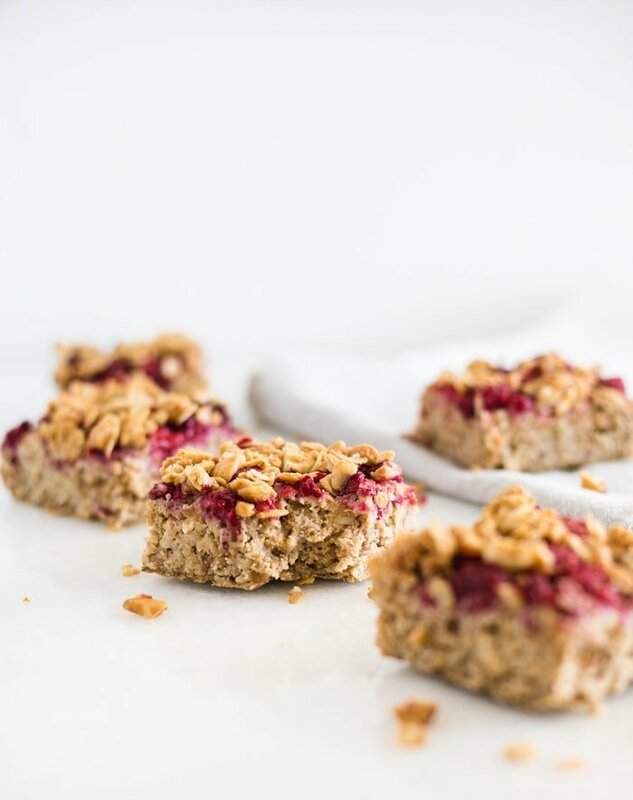 These oatmeal bars look so tasty, filling and hearty! I haven’t tried freezing them, but I’m sure it would work just fine!